Trading Komodo - Atomic Swap with Bitcoin Cash Leading a Breakout? So, admittedly, I do not know a ton about Komodo yet. I know Komodo is a decentralized exchange protocol and that it's done an atomic swap with Bitcoin Cash. I also know it's looking like it's going to moon, and it's starting to moon. Binance is 0.1% fees and Bittrex is 0.25%. That's a huge savings. Click the link below! 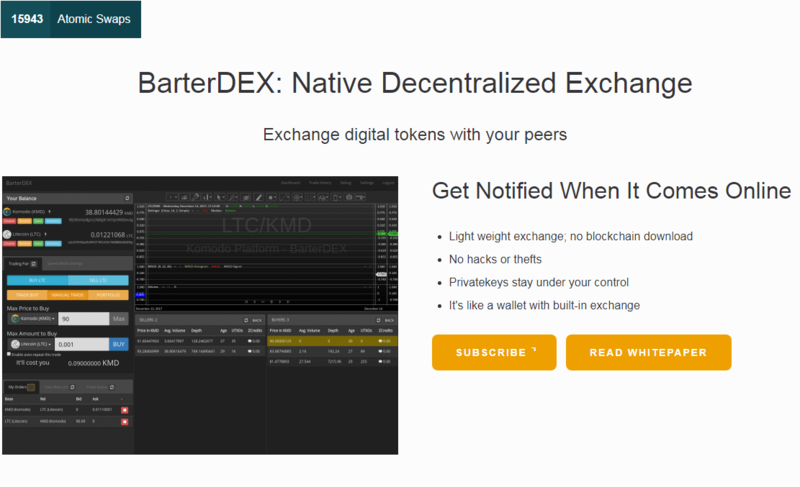 And it's specifically this product, BarterDex, that performed the atomic swap. Move over, Lightning Network™. Here's a link to the article about Komodo. Judging from cryptocompare's information on Komodo, it looks like it's its own currency/chain and is not an ERC20 token or anything like that and there's currently 103,000,000~ tokens in supply. Let's get straight to the trading thread.